Industrial Paints - Including Primers, One Coat Finishes, Topcoats & Thinners from PPG Sigma, PPG Selemix, Dacrylate, Intercoat Industrial Paints & Rustoleum. Powder Coatings - Including standard RAL & BS Colours and special manufactures from Axalta Powder Coatings, Oxyplast Powder Coatings & Jotun Powder Coatings. Vehicle Paints - Full range of Primers, Basecoats, 2K's & Clearcoats from Mipa Paints. Military Paints - Large range of Def Stan approved products from Indestructible Paints. Aerospace Coatings - Massive product range available with approvals for the likes of Rolls Royce, BAE & many more. Decorative Paints - Emulsions, Glosses and specialist Coatings from Johnstones, Dulux and more. Maintenance Products - Floor Paints, Anti Slip Plates, Line Marking Aerosols from Rustoleum & PPG Sigma. Aerosols - Off the shelf products and custom made Aerosols for almost any application. 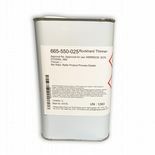 Wood Finishes - Primers, Precats, Acidcats, Lacquers & 2K Polyurethanes. Pretreatment - Panel Wipes, Zinga Cold Galvanizing Products and much more. Paintshop Items - Abrasives, Fillers, Spray Guns, Masking Products, Spraybooth Filters, PPE and more. We distribute products for companies such as PPG Protective & Marine Coatings (Formerly PPG Sigma), Rust-oleum, PPG Selemix, Axalta Powder Coatings, Jotun Powder Coatings, Intercoat Industrial Paints, Abracs Abrasives and many more.